We are extremely pleased to announce we are now supplying new generation Opteon™ SF80, a specialty fluid designed to meet the high specifications and demands of the industrial cleaning market. It is a safe, non-flammable, and extremely environmentally friendly solvent with no ozone depletion potential, an ultra-low global warming potential (<2.5), and does not contain any products regulated under F gas regulations. SF80 is an effective replacement for nPB, TCE, HCFCs, PFCs, HFCs and HFEs solvents, and is becoming known as the leader within a variety of cleaning applications such as vapour degreasing, oil and grease removal, precision cleaning, high solvency defluxing, and silicone removal, amongst many other uses. Please contact us to discuss how Opteon™ SF80 could work within your application today. A great deal of misconception still surrounds the use of solvent cleaners, and many businesses are using aqueous solutions just because they think they’re safer, rather than considering the chemistry that is most appropriate for their needs. While solvents do have a controversial history, the solvents of the 80s and 90s have been left in the past, and the current new generation of chemicals are just as safe as the aqueous solutions people have become accustomed to. 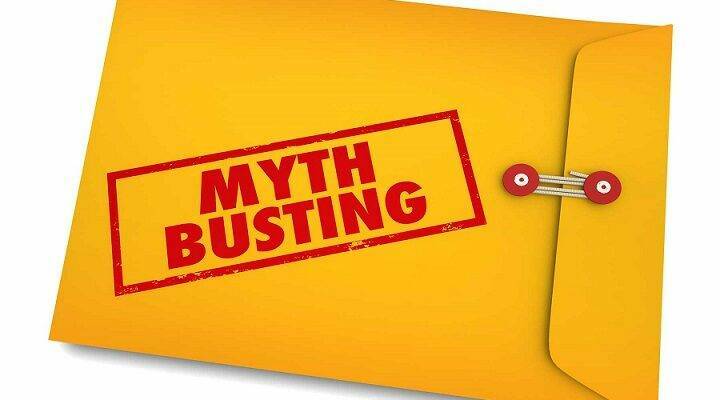 So what are some of the most common myths about solvents, and what’s the truth? Are solvents bad for the environment? Modern cleaning solvents use extremely eco-friendly chemistries, which offer a superior cleaning performance. They are low in cost and provide a genuine alternative to the old hazardous solvents which have now been banned or restricted. The Chemours™ Opteon™ range of safe, environmentally friendly solvents have become widely accepted as best in class, next generation fluids and are approved for use in a large range of standard cleaning systems. Solvents now also boast low global warming potential (GWP), which is a measure of how much heat a greenhouse gas traps in the atmosphere up to a specific time horizon, relative to carbon dioxide. It compares the amount of heat trapped by a certain mass of the gas in question to the amount of heat trapped by a similar mass of carbon dioxide and is expressed as a factor of carbon dioxide. GWP is used to represent the equivalent of CO2 being released into the atmosphere. For example, 1kg CO2 = GWP of 1. Opteon™ SF80 has a GWP of <2.5 compared to a traditional HFC-based solvent with a GWP figure of around 148. Are solvents dangerous to health? While hazardous chlorinated and brominated solvents do exist, a safe, non-flammable solvent is preferable. The Opteon™ range is an ideal drop-in replacement for restricted chlorinated solvents such as Trichloroethylene, Methylene Chloride, perchloroethylene (PERC) and n Proplybromide (nPB). The products maintain compositional stability during use, are non-flammable, and have low odour and toxicity levels, whilst also having superior cleaning performance with the best solvency power in their class. Are solvents cleaners better than aqueous cleaners? There isn’t a simple answer to this, as it entirely depends on what needs to be cleaned. Solvents can be considered a ‘dry’ cleaning option and this process is ideal for water-sensitive or difficult to dry components. The Opteon™ SF80 solution, for example, can be applied to industrial cleaning applications like vapour degreasing, oil and grease removal, precision cleaning, high solvency defluxing, and silicone removal. Overall, solvents offer speed and efficiency, which shorten lead times and reduce costs. There are lower capital equipment costs than with comparable water-based systems, so there is a low cost of ownership and a smaller equipment footprint. Plus, they are extremely easy and safe to use. These benefits combined with extremely high precision cleaning, make solvents a very attractive option for many businesses. Celebrations as Fraser Technologies celebrates its 50th Year! The champagne was popped at the tail end of 2018 as Fraser Technologies reached its 50th year in trading. The family run company begun back in 1968 by David Fraser and his wife Anne. They worked extremely hard to build the business for the next 23 years then in 1991, their Son Graham joined the business having previously spent 7 years in various manufacturing roles. In 1996 Graham became Managing Director and has since grown the business phenomenally into a highly reputable, expert driven precision component cleaning company, who is trusted by many huge brands within the Aerospace, Automotive, Medical and Electronics industries around the world. Graham has established many fantastic relationships with all of his customers. Graham continues to have a hands on approach to supporting our customers and comments that “the business has been grown one account at a time and this hands on approach has been the key to the business growth and customer retention over the years”. All our customers large and small are hugely important to the continued success of the business. Graham has many big plans for the company within the next few years and now with a new management team in place the future of the business is assured, so it is exciting times ahead for Fraser Technologies! Graham would also like to take this opportunity to thank all of his old, present and new customers and also his suppliers for their continued support and he looks forward to the next 50 years! Our Trip to Tokyo to visit Koki! We recently attended the annual Koki Sales Meeting which this year was held in superb Tokyo, Japan! More than 30 representatives attended the meeting from over 20 countries and we were very proud to be representing the UK. Koki Company Limited are a global manufacturer and supplier of soldering materials, all of which are widely used and trusted around the globe. It was the first time in the past 10 years that the meeting was held in Japan, which is where the headquarters, main production lines and R&D facilities are located. The two day event consisted of global sales meetings, product development updates, and corporate news from the soldering giant. The second day allowed attendees to explore the production and R&D factory, where we were able to appreciate at first hand, Koki’s commitment and effort towards quality and reliability. 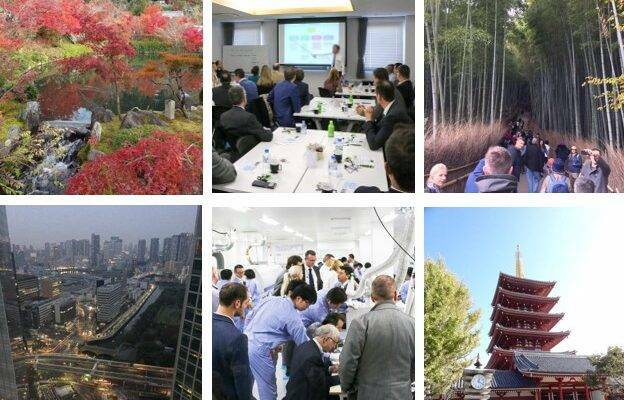 We were also able to take in some amazing sights Tokyo had to offer including beautiful red Japanese Maple in the Temple Gardens and entered some of the tallest buildings in the world, our meeting was held in a conference room on the 42nd floor! Please find some images above of our fantastic trip to visit one of our most long lasting partners. Thank you Koki for such an experience, we look forward to visiting you in Poland next year! We are delighted to let you all know we will be exhibiting once again at Surface World 2018 which is being held at the NEC in Birmingham on the 19th and 20th September. We will be launching our new standardised cleaning range at the show, with many special offers available. We will also be informing customers of the new nPB regulations and how we can help to make your chemistry transition quick and simple. Come and visit us at stand C17, we look forward to meeting you! Aqueous processes are often ineffective for cleaning intricate components, such as those with fine or blind bores. Because of their low surface tension characteristics, new generation solvents can penetrate into the hard-to-reach areas of these components for superior cleaning.